You are a big fan of Minecraft or Super Mario Brothers? Then you should try the great big combination of those two legendary games which is named Minecraft Super Mario Edition. The game was created by 4J Studios with the latest HTML5, which helps you to play the game on any modern web browser as long as you have the internet with you. How fun and exciting, right? The game offers you to save your progress, now you can easily pause the game and start it again from where you save. 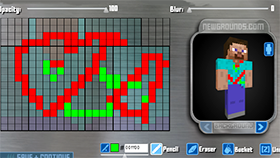 In this game, you are able to find various things which are related to the world of Mario. Minecraft Super Mario Edition allows you to shape the world as your wish. You are free to create your home or buildings such as castles. With Minecraft Super Mario Edition, everything is in your hand. 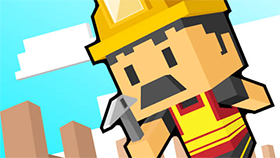 The game offers a perfect Adventure gameplay, which features Smooth mechanisms that help you to mine and place things, Throwing items, Planting Trees and even more. If you are used to the amazing game world of Minecraft, you will find it even better with the Mario-themed gameplay. The game easily satisfies even the hardest players, so take you chance and enjoy the game now! Move using the A W S D or the cursor keys and mouse. Left or Right Click to mine or place items. Press 1-9 to select item slots. Press T to throw item, press C to add trees. Press ESC to pause the game. 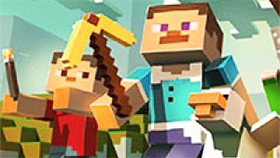 You can easily save your progress by pressing Ctrl + S and load your game using Ctrl + L.
To have more fun with the game, you should go to check the unblocked version of Minecraft Super Mario Edition on the amazing gaming website Freegames66.com. This site is a right place for any game-lover.